Add AUTO_LAUNCH = 1 to the top line of the .ini file. This will make the launcher inaccessible at all times. To re-enable the launcher set the value of AUTO_LAUNCH to 0. Built-in "60 FPS lock" option includes V-Sync. Built-in "60 FPS lock" option locks the framerate to 30 in menus, cutscenes, free kicks and some other situations. Disable the frame limiter from the launcher and force V-Sync via graphics card control panel to avoid this. Options for Stereo, 5.1 and 7.1. ↑ "FIFA 17 - Terms & Conditions". Electronic Arts. 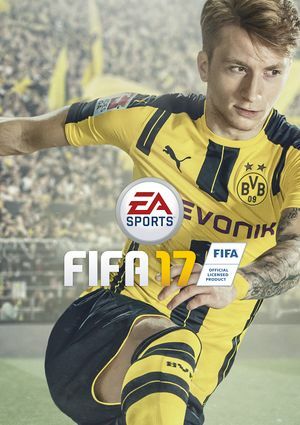 https://content.pulse.ea.com/content/dam/ea/eulas/US/FIFA-17-PC-EULA_US-%20EU-l2.7.6.16.pdf. Retrieved 16 July 2016. This page was last edited on 11 March 2019, at 23:33.